Congratulations Kirsten + Daniel! 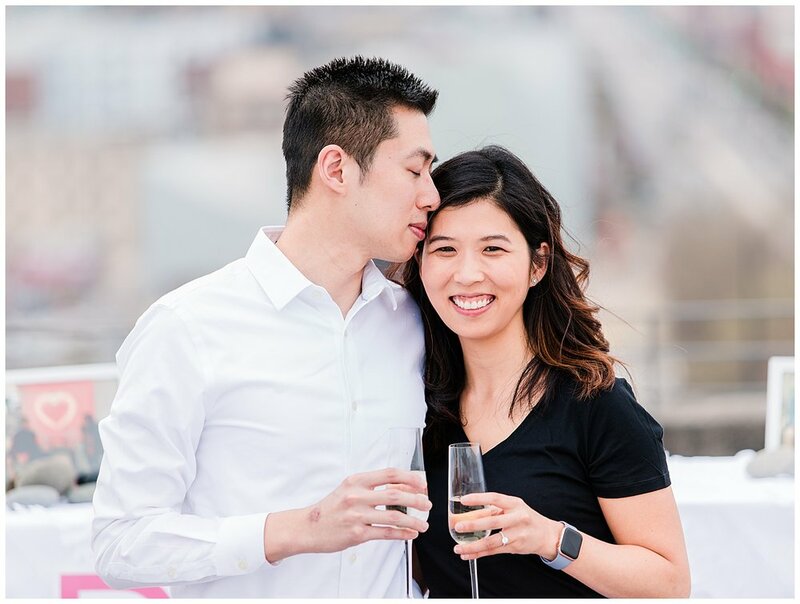 I was thrilled to photograph this beautiful proposal on the Quirk Hotel rooftop overlooking the Richmond skyline on a warm sunny spring day. 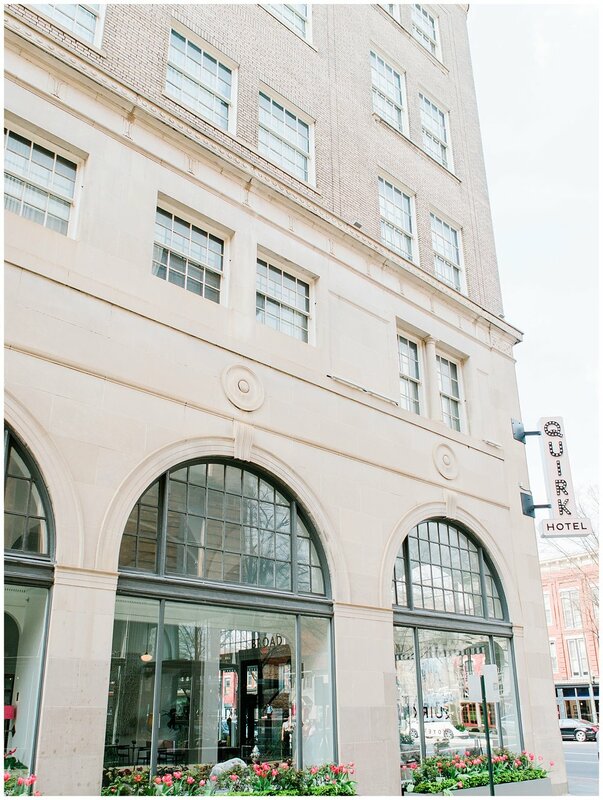 The couple had their first date at Quirk in 2016, and Daniel wanted to return to the scene of that landmark moment to ask Kirsten something very special! Kirsten was beautifully overcome with emotion at Daniel’s thoughtfully planned out proposal. 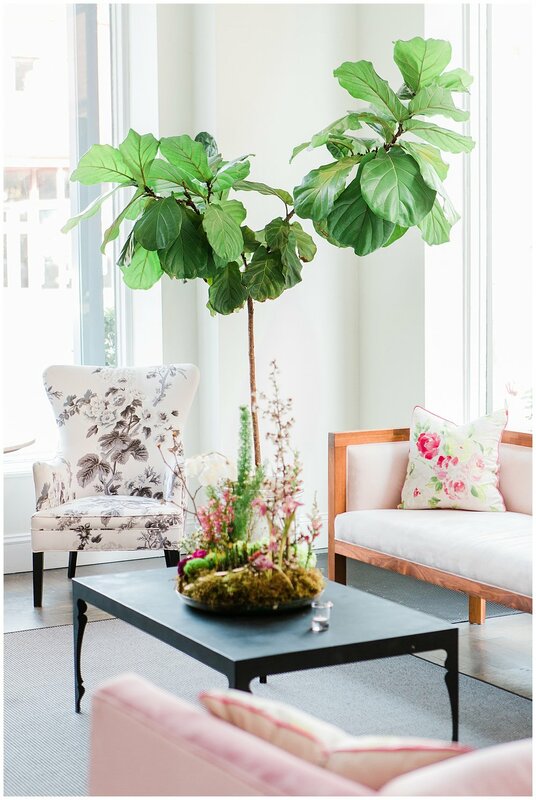 He’d ordered beautiful pink floral arrangements and had the white stone path lined with rose petals. 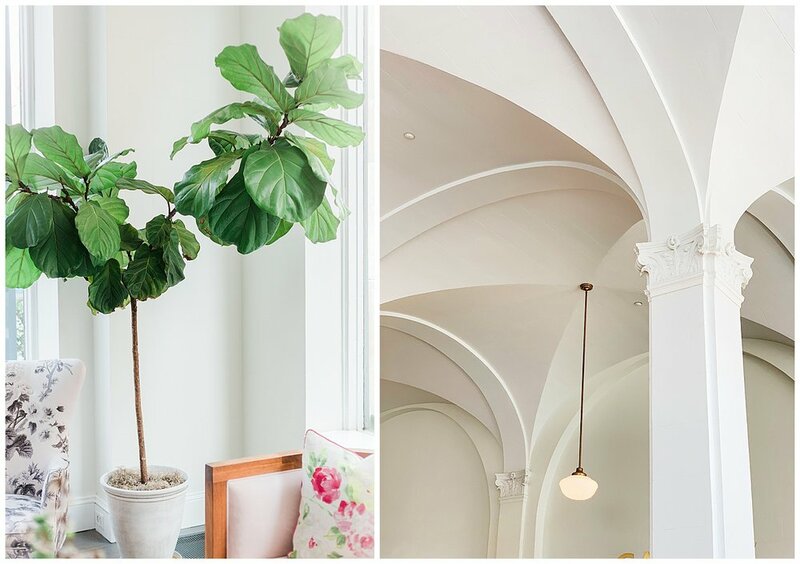 Framed photos commemorating the couple set atop two pillars decorated with flirty white linens. 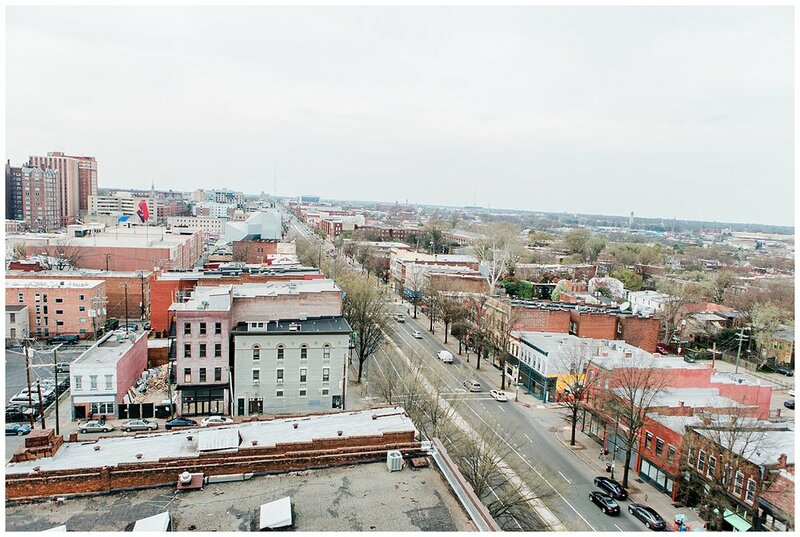 Enjoy a few of my favorite images from their Quirk Hotel rooftop proposal! 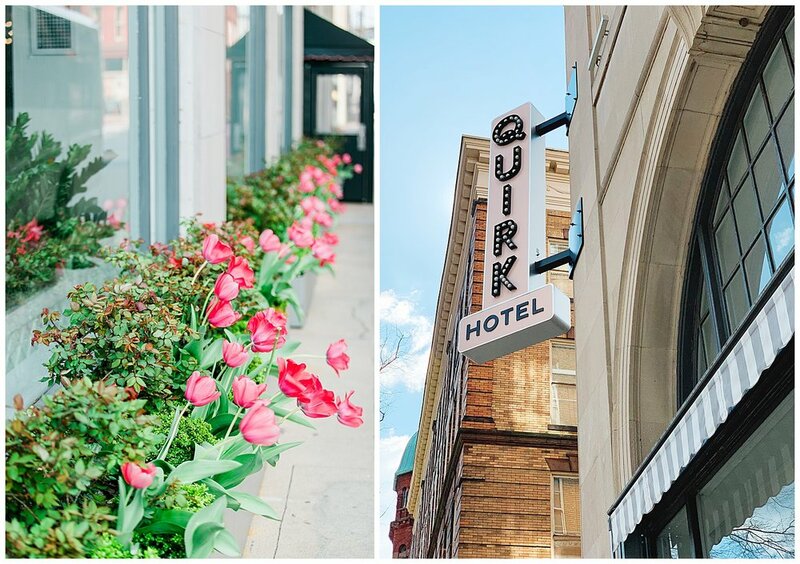 Special thanks to Jeremy and the behind the scenes crew at Quirk Hotel for being so awesome to work with!